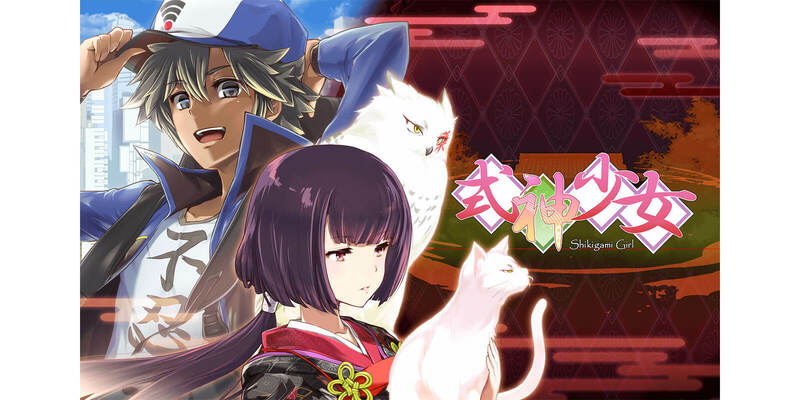 MANGA.TOKYO, the online anime and otaku portal operated by DONIKA Co, Ltd, has released its first light novel, Shikigami Girl. The novel is written by a group of Japanese anime and manga creators who have been involved in many famous works and who have come together under the name Honda-Na, especially for this project. They have created a dream-like story for fans of anime and manga all around the world. Each chapter contains homages to beloved anime and manga and will teach the reader little interesting tidbits about Japanese life. The first chapter was released on Monday, April 2nd and one chapter will be released each week. The novel is available for free to read on MANGA.TOKYO’s website. Wearing an old-fashioned kimono, the girl commands ‘Shikigami’- which appear to be origami animals which have a life of their own. Her name is Kuzuha Komyo and she is a Shikigami invoker of the Komyo clan, an honorable family who have been dedicating themselves to exorcising evil spirits since ancient times. Thus our hero’s tale with Kuzuha begins. You can find more information or start reading the light novel by visiting the MANGA.TOKYO website.